Railpictures.ca - Doug Lawson Photo: BCOL 4652, resting on the shop track in the “south yard” of the former BC Rail. These units were perhaps my favorite to operate, they looked good, had a comfortable cab, were heavy with good ride and pulled well. The real delight was they have a “standard control stand / console” not the horrible back breaking desktop control stand. | Railpictures.ca – Canadian Railway Photography – photographie ferroviaire Canadienne. Copyright Notice: This image ©Doug Lawson all rights reserved. 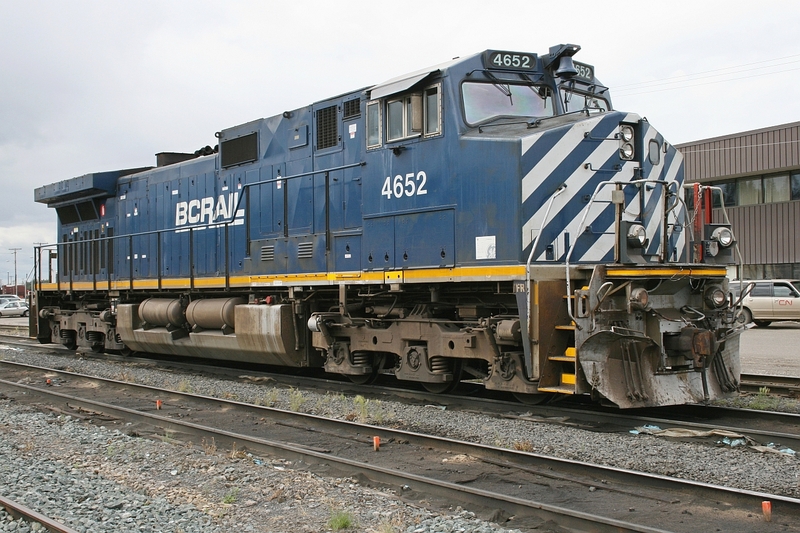 Caption: BCOL 4652, resting on the shop track in the "south yard" of the former BC Rail. These units were perhaps my favorite to operate, they looked good, had a comfortable cab, were heavy with good ride and pulled well. The real delight was they have a "standard control stand / console" not the horrible back breaking desktop control stand.